That Doug Pederson is one innovative guy, huh? It’s been a little over a year since the world got to see the ‘Philly Special’ live on national television. Although the Philadelphia Eagles technically didn’t invent the play, they were the first team ever to run it on fourth-and-goal during the Super Bowl. That’s got to count for something, right? So maybe the Eagles aren’t the originators of the actual play design. 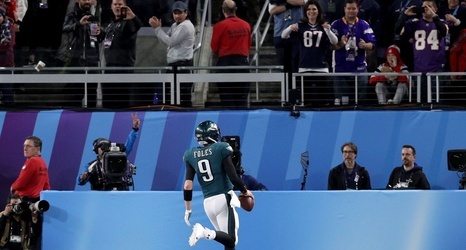 But not a lot of teams were open to running a play that was similar to the ‘Philly Special.’ Not every team in the league can successfully find three players that can execute a pitch in motion, along with a perfect throw on the run to a quarterback who has to catch the pass (Sorry, Tom Brady).